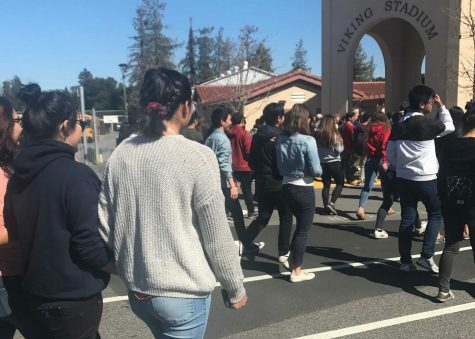 Palo Alto High School students are more than familiar — far, far more familiar than they should be — with the shrieking blare of the the school’s fire alarm system. 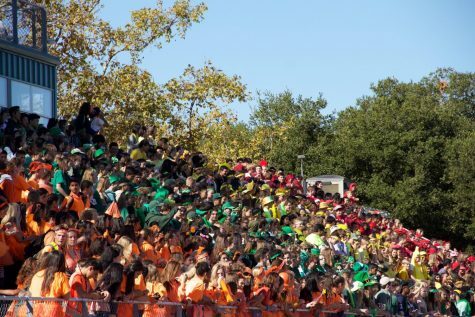 In each instance — and there have been, on average, about a dozen annually for the past four years during school hours — students and staff follow a similar path, funneling through the chute between the auto shop and the gym to the football field. After about 20 minutes, they return to class along the same path. Word spreads later in the day that administrators attributed the false alarm to a malicious pull, e-cigarette vapor in the bathrooms, or maybe even a spider triggering the alarm. Have any of these evacuations been warranted? Principal Adam Paulson did not respond to three requests for comment, the last of which touched on this question. 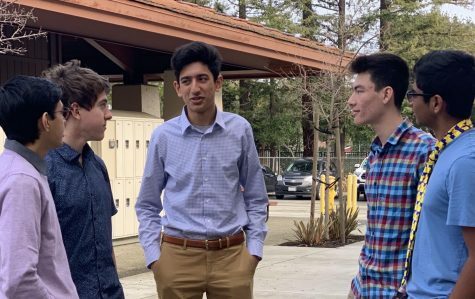 But current Paly students interviewed by the Voice say they can only remember one or two instances that the fire alarm was triggered for a legitimate emergency. Instead, students and teachers say they have been left in a state of deep cynicism and irritation about the repeated false alarms. 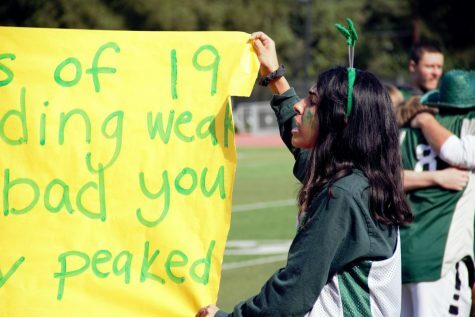 “Fire alarms are extremely annoying and disruptive with how often they occur at Paly,” said junior Derek Dong, who the Voice estimates has trudged to the football field 41 times since his arrival as a freshman in 2016. 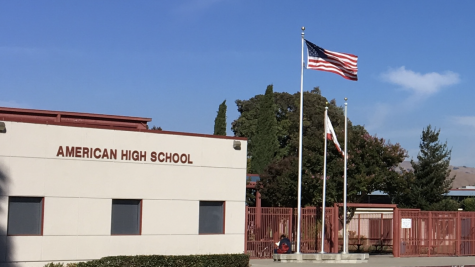 The repeated sounding of the alarm may be what’s normal at Paly, but a Paly Voice study of data obtained through public records requests from four Peninsula fire departments shows that the frequency of alarms at Paly is far different — in some cases, tenfold higher — than that at six other nearby Peninsula public high schools. 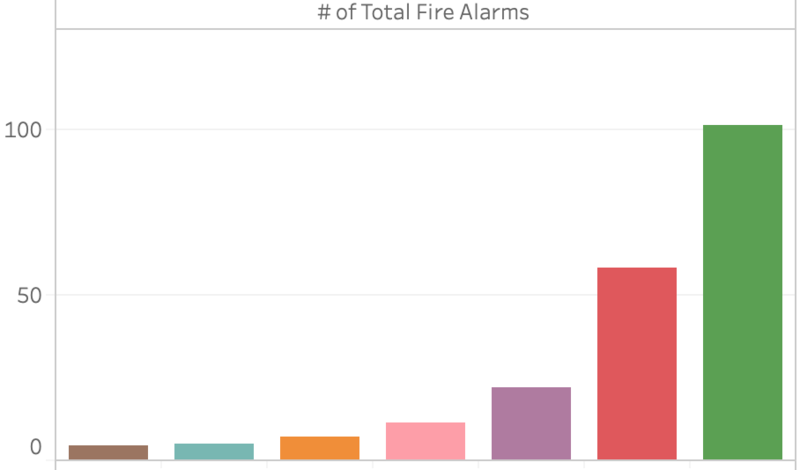 While Paly experienced 101 alarms from Sept. 1, 2014, to Sept. 1, 2018, other local schools had less than 25 in the same time period. After Paly, Gunn High School had the next closest number of alarms with 58. These figures include alarms that were triggered before, during and after school hours. “That’s a lot,” Assistant Principal Jerry Berkson said of the number of alarms at Paly. 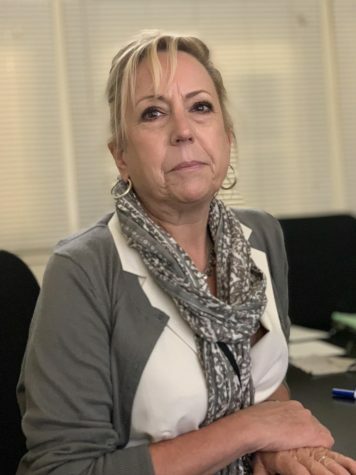 He said in a November interview that there’s been no clear downward trend in the number of fire alarms since he started working at the school 13 years ago, although recent aggressive actions by administrators the past few months have begun to show results. “Our system is a bit antiquated, which is being looked at,” Berkson said. But he added that maintenance and construction projects at Paly — which have included the Peery Family Center, the Performing Arts Center and the library — have contributed to an abnormal number of inadvertent fire alarm activations. 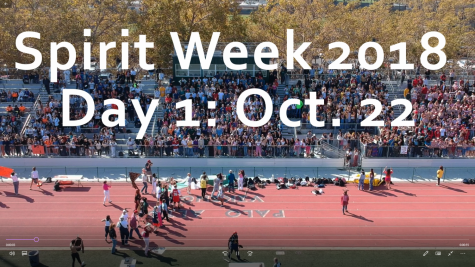 Only four of the 101 alarms at Paly between Sept. 1, 2014, and Sept. 1, 2018, were determined to have malicious or mischievous intent, the fire department data shows. Most were deemed by the fire department to be unintentional or malfunctions. Administrators say they suspect that many of these unintentional fire alarm activations are caused by e-cigarette vapor. For most Paly students and staff, the frequent evacuations are a nuisance that cuts in on instructional minutes. A 20-minute average for each evacuation would mean that current seniors have lost about 15 hours of class time since they started at Paly. At times, the evacuations have been more than an irritant to students and teachers. In May, a false alarm interrupted the College Board-administered Advanced Placement Statistics exam, forcing the test-takers to evacuate. However, their scores weren’t invalidated because the students evacuated without using their devices or talking to each other, according to Cynthia Chen, who taught the course last year. 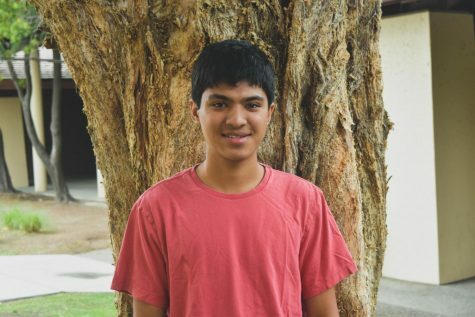 Compounding the problem is that the evacuations have had a desensitizing effect, students say, adding that the regularity of the alarms has prompted some of their teachers to delay evacuation in anticipation of a false alarm ruling. Yet, despite the exasperation — and sometimes uproar — the problem has persisted. This school year alone, just over one semester in, the number of alarms at Paly skyrocketed to 17 during school hours, compared to an average of 10 annually in the previous three years. In an attempt to address the issue, the administration in late September rolled out a policy that involved the closure of certain unmonitored bathrooms, where use of lighters and e-cigarettes have been suspected to trigger smoke detectors. Since the policy’s implementation, the alarm has sounded only five times during school hours, according to the data. 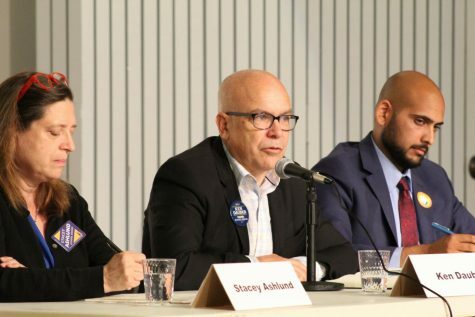 But the closure of bathrooms, a wildly unpopular policy among the student body, has presented its own problems, chiefly that students find themselves walking across campus to locate an open restroom. 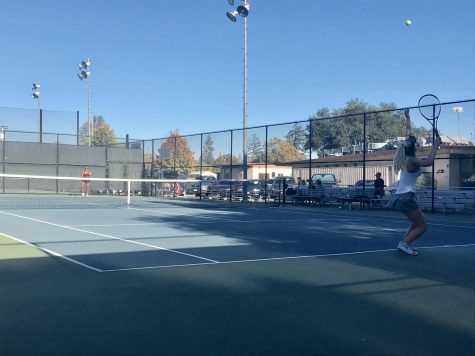 “My brunch area is near the 800s [building] and the bathroom there is always closed, even though it says it’s open,” sophomore Ellen Fang said. “I went to five bathrooms and they were all locked,” sophomore Jenna Hickey said, referring to one time she trekked across the school to find an open restroom during lunch. Zage Strassberg-Phillips contributed data analysis and visualization. 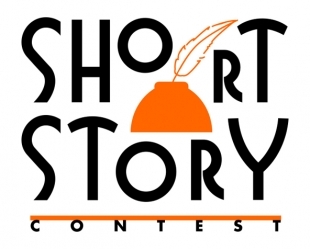 Dylan Fu, Ellie Krugler, Benjamin Huang, Gracia Hmelar, Soumya Jhaveri and Ria Pai contributed reporting.